Available in SS304 , SS316 and SS316L material. Available from 25 liter up-to 10, 000 liter capacity. SS PU wheels of desired size. Excellent finishing having this Filling Vessel is very easy to use and install. Available with us is a plethora of Filling Vessels, which is offered at industry leading prices. 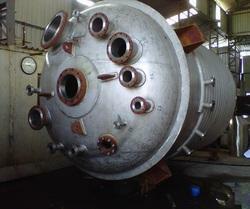 Also called pressure vessels these products are offered with a trolley. We offer the interiors and exteriors of these vessels with a mirror finishing and test the same on several parameters before delivering to the patrons. S.S. Liquid Storage Vessels are used in pharma laboratories, Pharma, Chemical & Cosmetics Companies for storing the allied liquids & chemicals to be used in making the final product. Provided with handles for easy access & movement Top Lid is also provided with handle.movement. 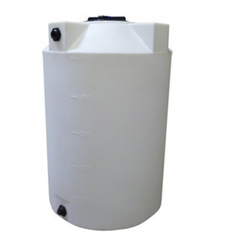 We have been able to provide our clients a commendable assortment of Storage Tank at leading market prices. Combining our industrial experience and skills with advanced equipment; we have been able to meet up to our client's storage requirements. Customized Storage Vessels are fabricated in accordance to particular specifications. We are committed to offer a wide range of storage solution for wide range of applications. Owing to the vast experience of the industry, we are also engaged in the manufacture of Storage Vessels. Standard reactors installed along with all necessary piping and instruments on Turnkey basis at Client premises.